The Investigative Division is run by Capt. Bryan O’Hare and Lt. Joseph Tomazic. 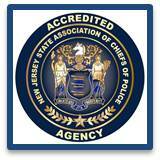 Their responsibilities include planning, coordinating, and directing the activities of the detective bureau and oversees all follow-up investigations of criminal incidents as well as having responsibility for the Property and Evidence functions of the police department. Captain O’Hare is the Support Services Captain who oversees the Investigative Division and Support Personnel.